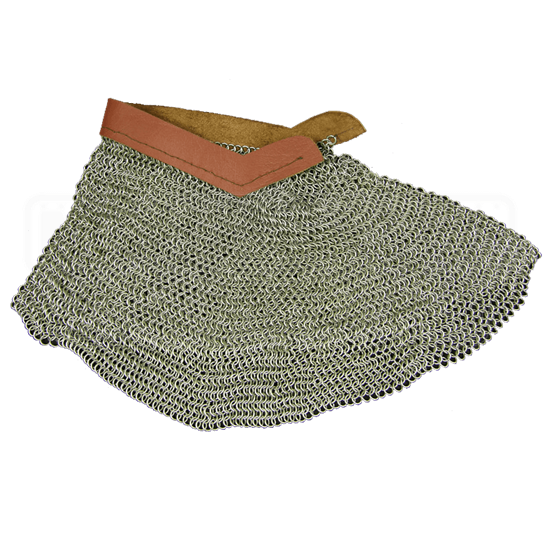 This aventail is fitted with a leather collar, to facilitate attachment to helmets. The aventail will fit medieval helmets AB0423, AB0424, AB0427, AB0428, AB1400, AB2967, and AB2971. The aventail is butted round rings made of 16 gauge mild steel. The rings have a zinc plated finish and have an 8mm internal diameter. Please be aware that aventails like this are not designed to be worn on their own. They are made to be attached to helmets. 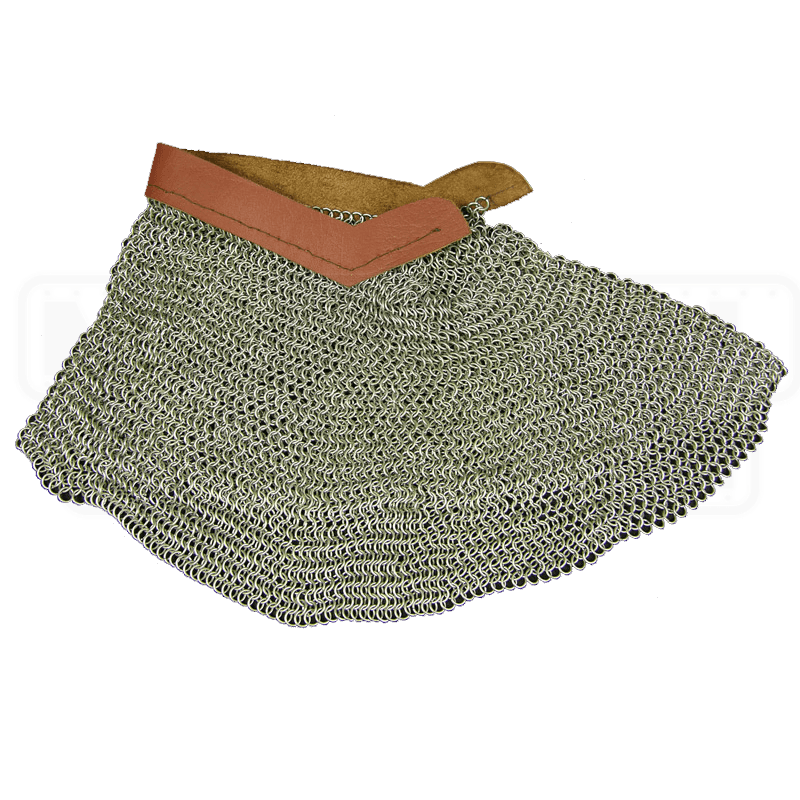 Listed above are the item numbers of the helmets that this chainmail piece are most compatible with.